Well, this experiment didn’t pan out very well. I managed to make three new friends, all three are friends of one friend that I already have. 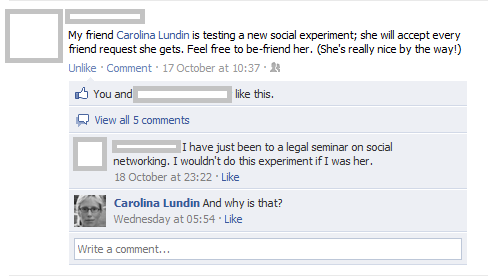 It might be that I haven’t advertised the experiment well enough, or maybe that I did advertise it. People might not want to be a part of an experiment, I didn’t take that into consideration. 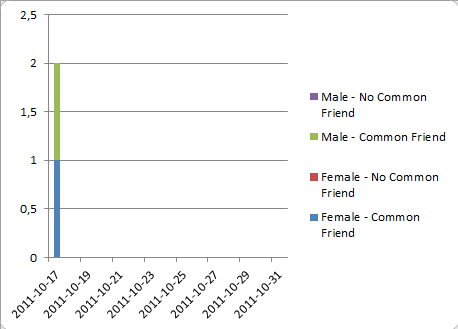 However, now I scrap it, so I will start turning down friend requests again.